Leading storage solutions brand Dexion is launching the second issue of its highly regarded Store It catalogue this June. 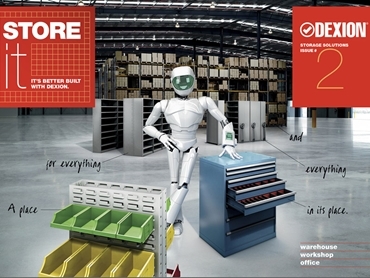 Going beyond the basic product catalogue, Dexion’s Store It boosts value through inclusions such as space-saving ideas for warehouses, workshops and offices, safety tips, and standards compliance information. In addition to presenting a concise reference source, the Store It catalogue is also an educational tool, providing informed and articulate content to assist customers in getting the most out of their storage solutions by selecting the product best suited to their application. The catalogue’s user‐friendly format delivers key product information and specifications in an easily digestible manner, along with clear product comparisons to ensure customers are able to make efficient purchasing decisions. All products featured in the Store It catalogue are available through the national Dexion Supply Centre network, stocked in convenient locations and showrooms across Australia and New Zealand.